Cook fresh and vibrant dishes with this friendly and instructive Indonesian cookbook.
. Indonesian is a vibrant, multi-layered nation with a fabulous and largely unexplored cuisine--and these easy-to-follow recipes now make it accessible to everyone. 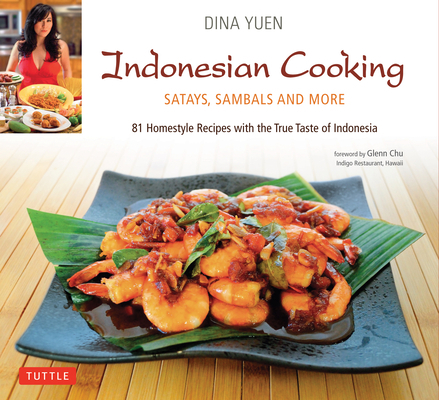 Dina Yuen was so fascinated by the cuisine of her country that at the age of 12 she became the youngest student at one of Indonesia's foremost culinary centers. After her studies there she went on to study under the tutelage of chefs at Indonesia's top tourist destinations. She is the publisher of Asian-Fusion.com. Dina lives in San Francisco, CA.